Saint Brandon, also known as the Cargados Carajos shoals, is an Indian Ocean archipelago about 430 km to the northeast of Mauritius. comprising a number of sand banks, shoals and islets. It is a group of outer islands with a total land area of 1.3 km², belongs to Mauritius and is administered by the Outer Island Development Corporation (OIDC). The reef measures more than 50 km from north to south, and is 5 km wide, cut by three passes. The reef area is 190 km². The islands have a small transient population, mostly fishermen, 63 in number on census night (Census of 2001). The majority of the population (~40) lives on Île Raphael, with smaller settlements existing on Avocaré, Coco, and Île du Sud. A former settlement existed on Albatross Island, but was abandoned in 1988. The islands are rich in flora and fauna. They are classified as a dependency of Mauritius, which is more than 300 km to the south, and are administered from Port Louis. Cargados Carajos is part of the Mascarene Islands. 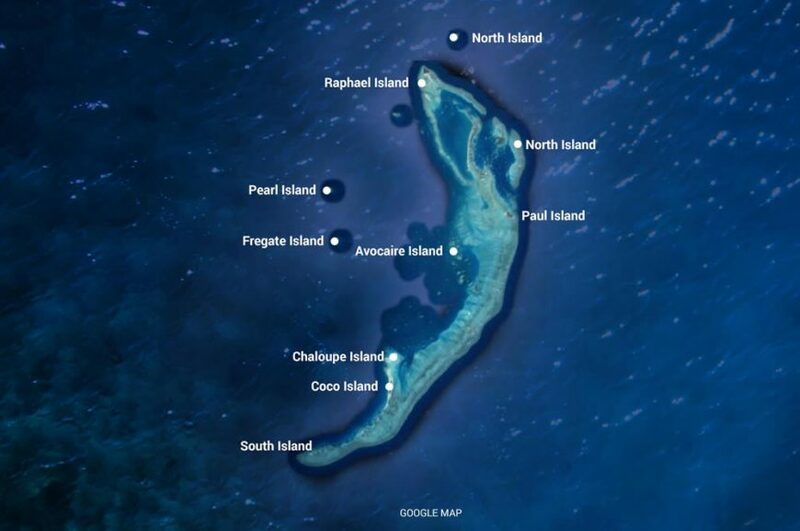 The atoll may have been discovered in the 7th century by Arabian sailors. It was named in 1506 by Portuguese sailors who put ashore for provisioning on their way to India. In 1598, the Dutch occupied the islands. The islands became a French protectorate in 1722 and passed into British hands in 1810. Pirates have used the islands as a refuge. In modern times the islands were mined for phosphates derived from guano. Mining ceased in the mid-20th century. 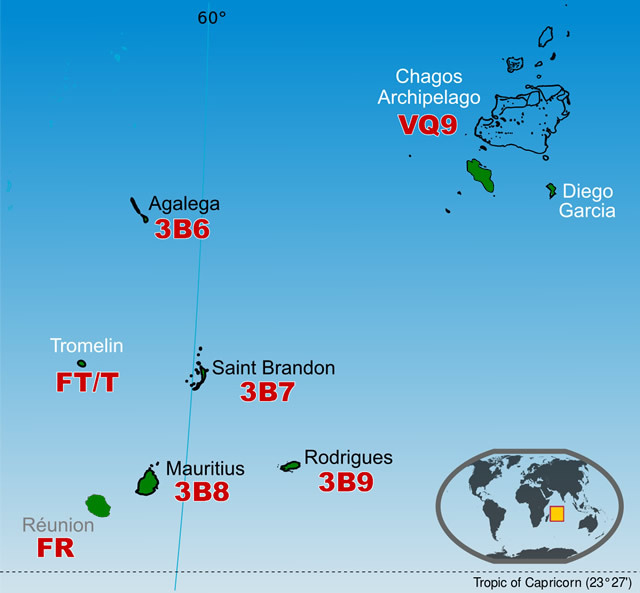 The St. Brandon archipelago was surveyed by British colonial authorities on 31 March 1911 as part of the Census of Mauritius. This found a total population of 110, made up of 97 men (86 non-Indian and 11 Indian) and 13 women (10 non-Indian and 3 Indian). While the archipelago likely had a resident population at this point, as indicated by the 8 children under the age of 15 and the 5 people over the age of 60, there was also likely a seasonal component, with the largest population segment being men between 20 and 35. 73 men worked in fishing, 11 at the guano mines and 4 were ship’s carpenters. Only one (male) person was recorded as having been born on St. Brandon. The 1911 census reported that three of St. Brandon’s 39 houses were built of stone and eight of wood, with 28 built of thatch. Most of these were single-room dwellings, but 10 had two rooms and one had three. There were also eight shops or stores and a one-room chapel. Ten years later, the population had plummeted to just 22, as reported by the 1921 census. There were 21 were men (ages 19–48) and just one woman, a married Catholic, aged 31. 14 people were identified as part of the “general population”, with 11 of them born on Mauritius, one on Rodrigues and two in the Seychelles. In addition, there were 3 Indo-Mauritanians and 5 “other Indians” from Madras, Calcutta and Colombo. The most common employment on St. Brandon in 1922 was agriculture, with a manager, assistant manager and 11 labourers. Only two young men were recorded as working as fishermen. Three men worked as carpenters, one as a mason, one as a shoemaker and another as a domestic servant. There was no indication that the guano mines were operating.